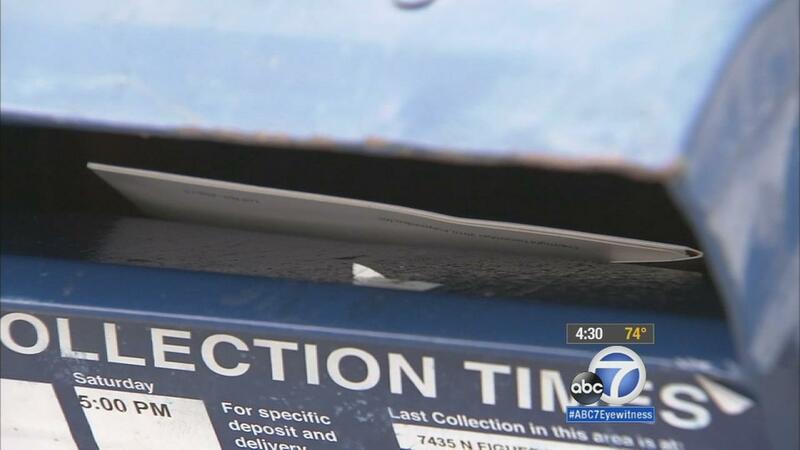 EAGLE ROCK, LOS ANGELES (KABC) — An unusual device used to steal mail has been found at Eagle Rock’s main post office. Similar items have been found in mailboxes across the city. Now, postal officials and customers are on alert. The devices are often used by thieves to fish envelopes out of mailboxes and steal checks, someone’s identity or other personal information. Mailboxes throughout Eagle Rock have been rigged for theft, according to Tim Tritch, whose newspaper has been receiving complaints for weeks.